In today’s fast-paced world, it’s all about staying connected. Gone are the days of proprietary building systems that aren’t efficient in terms of accessibility, energy consumption or maintenance. Today’s business climate demands systems and controls that are integrated, user-friendly, and keep buildings operating at peak performance. Our experienced team will design and implement a building automation network specific to your building’s and your business culture’s needs. Your HVAC, lighting, security, life safety and mass notification systems can all be connected into one seamless platform to keep you in-the-know and in control. Sandifer professionals will fully train you and your team to use your integrated system so that you’re in full control. Every building has unique challenges when it comes to maintaining a working environment that’s comfortable for occupants and efficient in terms of operating costs. Where you might see a challenge, we see an opportunity for savings. We can help save customers as much as 20-30% in utility costs by analyzing your building’s performance and energy consumption to identify key opportunities for energy savings to reduce operating costs. Just as your business evolves, changes and grows, so do your building needs. At Sandifer, we provide automation systems that are flexible and scalable. So, whether you’re moving into a newly constructed facility, modifying an existing working environment or need a system retro-fitted or re-commissioned, we are here to help. We are well-established in the Wichita area as a total building automation systems provider, offering customized and integrated solutions backed by exceptional customer service and support. 40% of total U.S. energy is used in buildings. 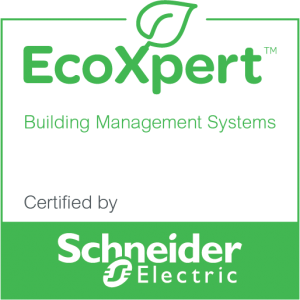 Are you fully utilizing your building systems’ capabilities to conserve?